Huge thanks to Helen Hardy from HMRC for writing this guest post. Helen has worked in the team managing businesslink.gov.uk since January 2009, and she writes here about the evolution of businesslink.gov.uk and what the site's closure means to the team. Much has been written here and elsewhere about Directgov, but today, with thanks to GDS for inviting me, I want to talk about GOV.UK’s other predecessor, businesslink.gov.uk, which came to its contractual end yesterday. 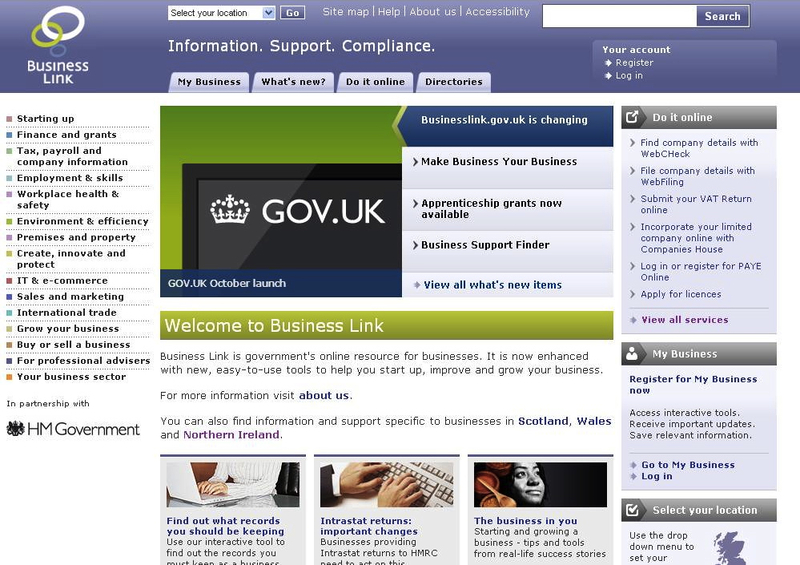 Businesslink.gov.uk was launched by the Small Business Service in 2004, to support the network of Business Link face-to-face advisors established during the 1990s. Over time, it evolved to become the primary government support and information channel for businesses – a remit set by Sir David Varney’s Service Transformation report in 2006. In 2007, HM Revenue & Customs took on the management of those websites and the change programme that saw the merger of content and services from 174 sites into business-focused and user tested navigational ‘themes’. This was completed in 2011, when the face-to-face service closed in November that year. The use of the word ‘websites’ above is not a typo – Business Link online was a family of sites consisting of regional elements and distinctly branded and localised sites for each of the devolved administrations. This family also welcomed new arrivals over time, including major services such as the Contracts Finder; the ability for UK and EU businesses to apply electronically for licences from central and local government; and a ‘behind the scenes’ Enterprise Finance Guarantee reporting service used by banks. So Business Link has always been a highly cooperative endeavour – between off- and online; regional, devolved and national; a vast range of government stakeholders, contractors and partners who have helped to create the content and services; and most recently with GDS. Replacing Business Link involved far more than migrating a family of websites, which was the main stated objective. This brings me on to the subject of users. Change in how government has delivered support and information to businesses over time reflects the change in user behaviour and expectations. For example, businesslink.gov.uk saw a huge increase in the volume of users, as well as increased use of search engines to get people directly to the services they need. Of course, digital services for ‘businesses’ are really digital services for individuals who are looking for simple, clear and fast interaction with government. And yet there are some significant differences in how those individuals approach government when they have their ‘business’ hat on. Business people who use government websites are likely to do so frequently. As a citizen I may need to interact with government once a year or less, for example to sort out my car tax or passport. My appetite for looking at anything else when I'm there is likely to be pretty low. As a business user though, I may need to browse a site to find out about my options and obligations when starting up. I am likely to return regularly to carry out transactions, such as filing various tax returns, or to find out what I need to do when taking on new employees. Although I may be happy to find a straightforward answer, I may also want to check out specific details to suit my circumstances. All of which means that my journey through the site and the links I choose to follow are equally as important as the page I land on first. Through feedback and research, users often told us that they rated businesslink.gov.uk content very highly. Good search results saved them substantial time and money. However complexity, alongside rapidly ageing technology and design, were proving costly and making it harder for the sites to meet user needs. 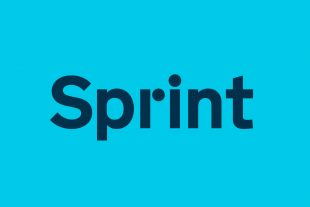 Our ability to deliver better digital services for businesses is dependent on technology and so it was the right time to move to GOV.UK’s new, open source platform to increase flexibility and reduce costs. As the lead for businesslink.gov.uk strategy it has long been my ambition to see how digital services for business will develop on GOV.UK. It has been a great pleasure to work with GDS on those first, critical steps. Etienne Pollard at GDS has described the enormous task of analysing user needs, which included all the information and data on businesslink.gov.uk . If there’s one thing I've learned when bringing citizen and business content together, it is to remember that the needs of business users are distinctly different. Although businesslink.gov.uk has closed, the responsibility to understand and meet user needs, and the links between those of us who do so, has not. Here's to the next (business) link in the chain. Just to be clear, I'm in no doubt at all that GDS have business user needs at the forefront of their minds, having seen the analysis they did of businesslink.gov.uk (and the volume of content redesigned and rewritten) - but in bidding farewell to business link I chose to spotlight these needs again for several reasons. First, because GOV.UK content for businesses spent less time in beta than some of the citizen content, so it's reasonable to anticipate that there's more to learn from how people use it in practice (even more so than citizen, I should say, because of course the learning never stops for either). Second, because of the numbers - there were an estimated 4.8 million businesses in the UK at the start of this year, against a population of around 62 million. Although that's an oversimplification, it's no surprise that 'most popular' user needs and journeys are heavily citizen-related. Nothing wrong with that, but it does mean more conscious effort will be needed to keep business needs in focus. Thirdly, because some really interesting debates are already emerging at the point where the 'Do less' design principle and move towards the 'irreducible core' come up against policy objectives that involve doing a bit more for businesses, particularly during economic downturn. My personal view is that this is a great creative tension which will keep all of us honest in looking for evidence for what business users actually need, as we go forward. Sorry to have to strike a negative note here, but this is the first ever post I've read on your blog site that didn't make me feel "Wow, these guys are amazing; I'm learning a lot, and I'm totally impressed". Of course it's from a guest blogger! Not really sure what purpose this post serves; I don't feel I learned anything, except perhaps why the old businesslink.gov.uk site was not highly regarded. I'm afraid Helen Hardy shows herself to be part of the "old way" of doing things. I hope she's open to learning from the rest of you guys. I know what you mean. It's not as upbeat as some of the other posts, but I do think it perhaps Helen is just being honest? I think she's possibly questioning whether the needs of businesses and the way they use the site have actually been researched. I've found it really hard to find any blogs on what work was done to move Businesslink onto gov.uk, and as I mention earlier from my view it just looks like it's been copied and pasted. I don't mean to take anything away from the other achievements of GDS but I feel they have missed a real opportunity with business content. How do you plan to satisfy yourselves that the needs of business users, which you describe as "distinctly different" are being met within the citizen-focused GDS? Is this a high priority for GDS? Really interesting post and I agree with all of Helen's points. What concerns me is that a lot of effort seemed to be put into the design of gov.uk for 'citizens'' use and a business users needs don't appear to have been looked at much at all. Most of the content from Businesslink has been migrated onto gov.uk (there are some pieces that are missing, and the user journey takes you around in circles), but it looks like a copy and paste job, with the result being exactly the same content but with in a bigger font. It uses the same layout and structure as the citizen facing side of the site, yet Helen states businesses and citizens use sites differently. Whilst the platform, the layout, the appearance etc are all certainly important factors in a usable site, content should be king. There seems to be a huge missed opportunity where the actual content could've been reviewed and improved greatly. I also think one of the failures of the closure of DirectGov and Businesslink are the many content specialists and experts that have been made redundant over the last 18 months, without any opportunity to be involved with the development of Gov.uk.